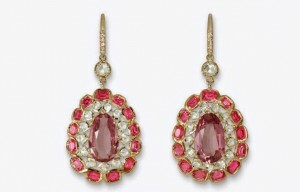 Spinel has long been mistaken for ruby by emperors and monarchs. 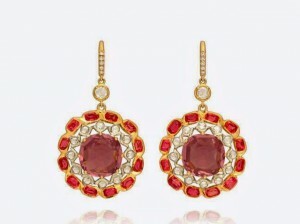 Many of the famous “rubies” of history were definitely spinels. In 1783 mineralogist Jean Baptiste Louis Rome de Lisle identifies it as a different mineral than ruby. The most famous is the Black Prince’s ruby, a magnificent 170ct red spinel that now adorns the Imperial State Crown of England in the British Crown Jewels after a long history. 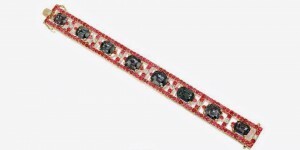 The Timur ruby, a 361ct red spinel now owned by Queen Elizabeth, has the names of some of the Mughal emperors who previously owned it engraved on its face. Spinel is a favourite of gem dealers and collectors on account of its brillance, hardness and wide range of spectacular colours. 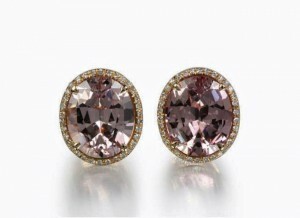 In addition to beautiful rich reds, spinel can be found in a range of gorgeous pastel shades of pink and purple. Of particular interest is a vivid hot pink with a tinge of orange mined in Burma. It’s one of the most spectacular gemstone colours seen in any species at all. 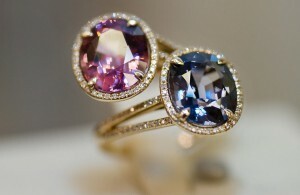 Spinel also comes in beautiful blue tones called cobalt spinel, but these are very very rare. Besides Burma, spinel is mined in Sri Lanka, Tanzania and Tadzhikistan, part of the former Soviet Union. Spinel, one of the magnificent and valuable gemstones, is in the focus of Alexander Tenzo’s attention-the founder of the Tenzo Jewellery House. A talented man, who devoted himself to the search of rare crystals of multicoloured gemstones-garnets, zircons, beryls, especially spinels as well as to the cut, executed according to his own design. There are a lot of talented jewellers and renowned Jewellery Houses in different countries of the world among his clientele. His delicate artistic flair of the colour helps him discover rare combinations of minerals, from which he compiles the palette and merges the colours of Nature. 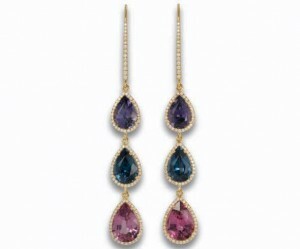 Together with a team of gifted cut masters he has been creating his collection of rarest gemstones. Nowadays this collection has been used to create jewellery pieces signed Tenzo. There is something in the “soul” of a jewel when it’s entire creation is conducted by a single person. The basis of the Tenzo collection is made up of jewellery stones of exclusively rare quality composed in sophisticated arrangements of colours provided by the superb jewellery craftsmanship. The Russian Imperial style, Asiatic riot of colours, pastel palettes of the North harmonize and complement each other. 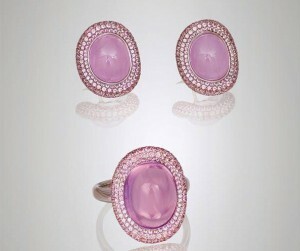 Diversity of tints and moods make the jewellery clear and perceptible. The vast range of colours and hues of spinel enables Alexander Tenzo to create expressive and thrilling jewellery masterpieces.